Saving money is not as easy as it sounds. 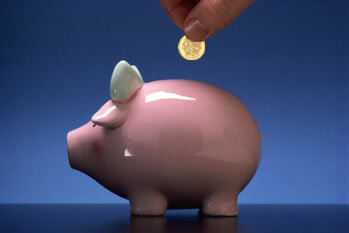 To save money requires a certain amount of discipline, time and effort. Everybody has different needs and priorities, do you want to invest for the future or merely make your money go further to prevent getting in to debt. Work out how much income is coming into the household each month and how much is being spent each month. Monitor the expenses over a period of weeks or months, keep a record of everything that is spent, try to stay disciplined and record even the small amounts. Use a notepad, spreadsheet or software programme to record your income and outgoings. See the following example of a typical income and expense table below. Example of income and expense recording. If you use cash, keep it to a minimum and record what you spend it on, cash is quickly spent and can account for a considerable amount of the household expenses. Can you reduce your mortgage payments? Depending on the type of mortgage you have it may pay to switch from a standard variable rate to a fixed rate mortgage. Pay off your credit card, if you can't afford to pay off the card, look at switching to a different credit card offering a 0% balance transfer, it may also be worth taking a low cost loan instead of paying the high interest rates usually charged by credit card companies. Reduce your gas & electricity bills, switching supplier is easier and quicker than a lot of people realise. Compare household insurance, using the internet compare sites has made finding cheaper insurance quick and easy. Use your car less, may car journeys are not absolutely necessary, a bike can offer a healthy alternative in some instances. Car insurance can also be found by comparing 100's of policies online in a matter of minutes. Shop wisely, do you really need the latest TV, if you do then compare prices before you buy. DIY, try doing some jobs around the home yourself, you can save £100's of pounds a year. If you are not DIY savvy you can always find a recommended tradesperson in your local area. Spending a little bit of time can help you realise your savings goals.